Weight loss is a big topic amongst many Dancing on Ice stars at the moment. Gemma Collins and James Jordan, for instance, have collectively lost an impressive four and a half stone – due to the intense training schedules required for the competition. 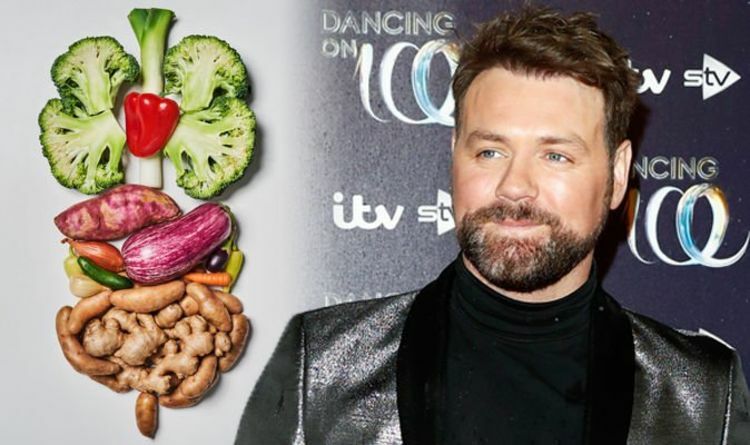 Brian McFadden, 38, doesn’t seem to have addressed the topic of weight loss since joining the ITV skating line-up. However, the former Westlife singer has spoken out about staying in shape in the past. In an unearthed interview from 2015, the hitmaker revealed he would sometimes follow one particular diet plan in a bid to lose weight. Taking a trip down memory lane to his Westlife days, Brian explained he and his bandmate Mark Feehily had taken on the Atkins diet. “When I was 25, I began the Atkins diet with Mark,” he told the publication, 10 years later. On the low-carbohydrate plan, the pair would tuck into high-protein foods. However, it seems the two didn’t stick to the diet plan too closely, failing to cut out vegetables – as is advised for Atkins dieters. “We’d have steak, eggs and bacon – all protein, though it wasn’t the real Atkins diet because I’d still eat vegetables, such as carrots,” the singer said. Rather than permanently putting carbohydrate-rich foods off limits, Brian explained he only follows the Atkins diet every now and then. But, when he does, it seems he soon sees weight loss results – previously losing around seven pounds in less than a month. “When I’m on it, I can lose up to half-a-stone in three or four weeks,” he explained. The NHS website explains that the Atkins diet could lead to fast weight loss, however there is the risk of side effects. This may include bad breath, a dry mouth, and tiredness. While diet plans can kickstart weight loss, medical professionals advise following a healthy, balanced diet. Ensuring regular exercise is also widely recommended.